As we move into the month of February, the SunBird Men’s Golf Association is approaching the half way mark of the 2015–2016 winter season. February is also a time when additional renters move into SunBird to enjoy the warm Arizona weather and many of the SunBird amenities. If you are one of those who are new or are returning and have an interest in playing golf, the Men’s Golf Association invites you to consider joining. The association holds regular scheduled events on each Thursday of the month. All of the events are handicapped so that all skill levels can enjoy the game and have a chance to win. Nominal dues include participation in the regular Thursday events as well as other events that may occur and membership also includes participation in the Arizona Golf Association handicap system. For more information about membership in the association, please contact Membership Chairman Fred Garmeson at 480-895-9363. Events for the month of December included gross/net stroke play on the 3rd, 17th and 24th and a four man scramble on the 10th. Following are the first and second place finishers in these events. 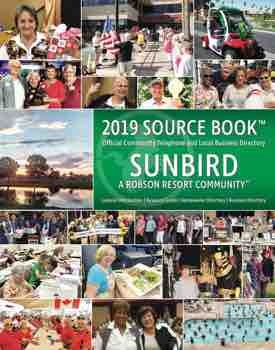 The main event for January was the four week Match Play Challenge; however, due to the lead time for submitting articles to the SunBird News, the results for this tournament will be reported in the March paper.